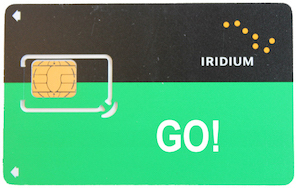 Prepaid SIM card & prepaid voucher options for the Iridium GO! 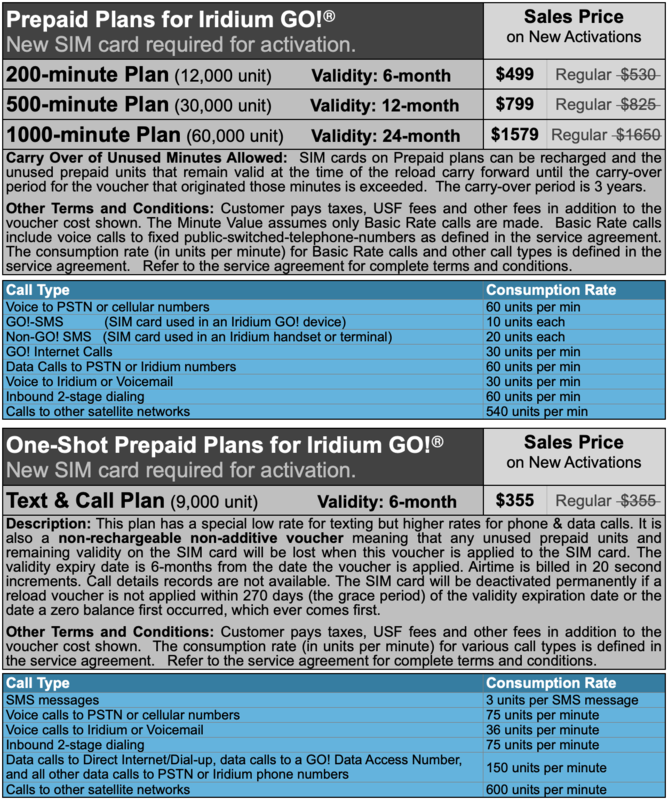 The Outfitter Advantage: The prepaid plans on this page are intended for use with the Iridium GO! hotspot. One of the advantages of GO! Prepaid Plans is that unused prepaid units are eligible to be carried forward for a maximum of three years from the date they were first applied to your account, as long as you do not allow your prepaid account to expire. 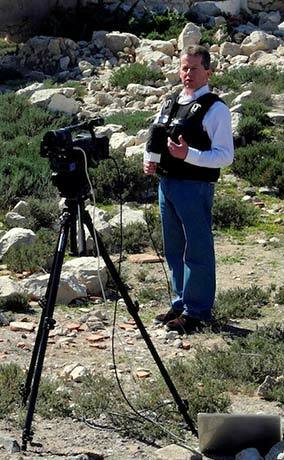 Validity-only extensions are available in the Reloads area of this website. 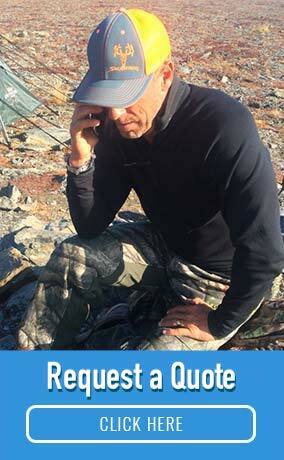 To help prevent any loss of eligible carry over minutes, we send courtesy email notifications to our clients prior to the expiry date of their prepaid accounts.